You have to admit deep down inside you want to be a rainbow too! I think I need to go back to shopping cause I've been in this outfit almost three days..... but it's just soooooooooooo cute! Normally I don't post any pictures on my blog unless I took them but I am going to make an exception today for my lovely Frogstar. 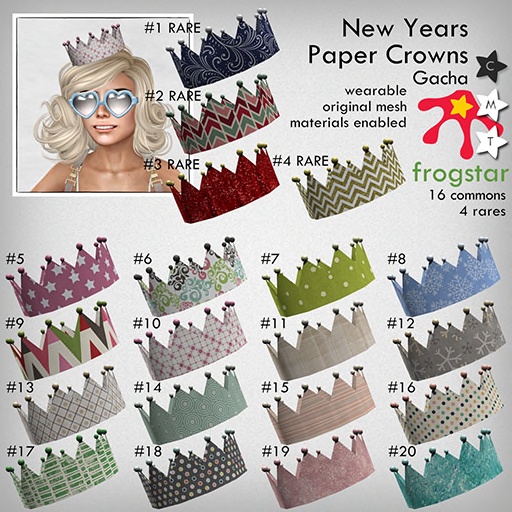 She did such a great job with the crowns wanted you all to see all the other options! So last photo below credits go to my sponsor Frogstar!